Hangovers are never something that anybody wants to deal with. They are absolutely terrible. The worst thing about them is that they seem to only get worse the older you get. If you’re one of those people that say they don’t get hangovers, then you’re lying to yourself. Everyone gets hangovers. If you don’t then you probably don’t drink enough. Nothing is wrong with that but if you drink enough alcohol, you’ll have a hangover. Hangovers are a risk we take every time we decide to drink anything. But can you cure a hangover? Are hangovers preventable? Hangovers may not always be preventable no matter how much you do to prevent one. However, there are ways to alleviate the symptoms of a long night out the next day. Below are ways that you’ll be able to either prevent a hangover or help relieve a hangover the next day. Nothing is worse than not being able to do anything for an entire day because that’s how long your hangovers are lasting. The sooner you can get rid of a hangover, the better. This could be the most important factor when it comes to preventing a hangover. 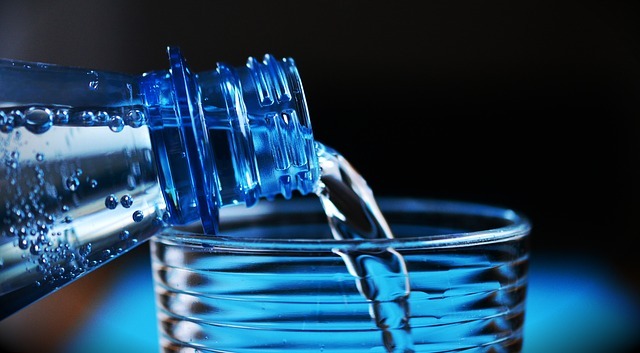 A lot of hangovers can come down to the fact that your body is dehydrated. How much water should you be drinking before a night of drinking? This article can help you. The thing is, alcohol is going to dehydrate you as you’re drinking it. So, making sure that you’re hydrated prior to drinking is important, but it’s important to try and continue to hydrate as you’re drinking. 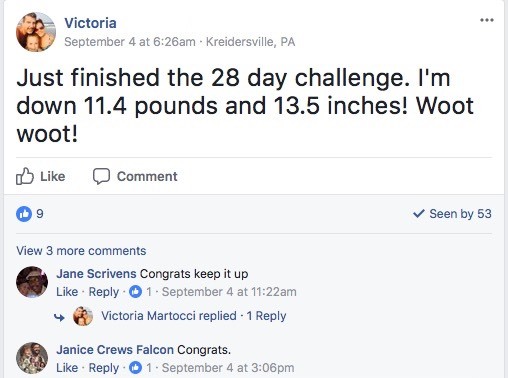 Obviously, this is going to be harder for some people, but if you can do this effectively, then you should be feeling at least okay the next day when you wake up. This one might seem a little obvious, mostly because it makes the most sense. The less you drink, the less chance there is to have a hangover. It’s that simple. If you avoid alcohol altogether then you’ll never experience a hangover. At least not from alcohol. Usually, the more you drink, the worse your hangover will be. This could mean that you’ll have a hangover that lasts longer or the symptoms will just be more intense. It’s important to remember that everyone is different. People are going to experience hangovers from a different amount of alcohol. For example, you can have 3 drinks and feel perfectly fine the next day, however, your friend can have the same amount as you and experience a severe hangover. It’s just how our bodies react to the alcohol that we drink. Sleep plays an important role in the hangover process. The more sleep you get, the lighter you can expect your hangover to be. After a night out, you may just pass out and not even realize you fell asleep. This remedy might be a little tough to accomplish because alcohol affects your sleeping pattern. 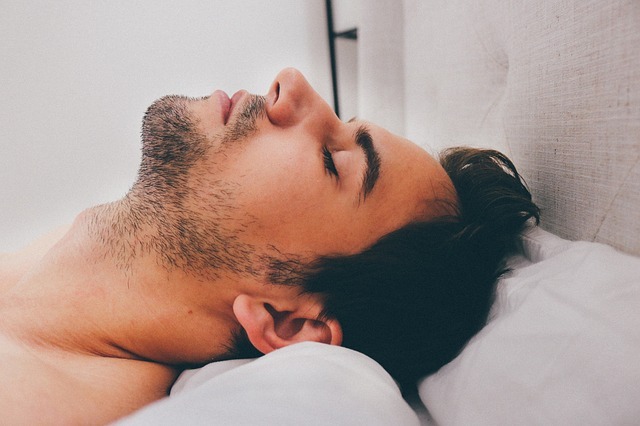 Although it may be easy enough to use alcohol to fall asleep, it’s not going to allow you to sleep in a manner that will give you a full night’s rest. For some people, when they wake up and want to go back to sleep, they can do that without a problem. For others, once they wake up, they’re up for good. I would recommend taking a nap as soon as possible if you’re unable to go back to sleep immediately after waking up. If you’re tired, the symptoms of your hangover are probably going to feel worse. A little bit of exhaustion can cause a huge amplification of symptoms that you don’t want to have. Not feeling exhausted prior to drinking can help you in the next morning as well. You may have heard that the best cure for a hangover is to keep drinking. Well, this does hold some truth to it. I’m not saying you go out and continue to drink like you did the night before. This is only going to make the hangover even worse when you do decide to stop drinking. People swear by drinks like bloody Mary’s to get them through a hangover. They swear it’s the best hangover remedy. Don’t worry about sounding or looking like an alcoholic when you say you’re going to have a drink the second you wake up after a long night of drinking. You’re only doing it to help your body recover. Although, there are going to be people that are so hungover that even the sight of an alcoholic beverage is going to make them sick. I believe that we’ve all been there at one point in our lives. I’m sure the last thing that you want to do is exercise after a night out. Working out is going to be a hangover remedy that will work wonders in multiple ways. If you’re really thinking about it, working out on a hangover doesn’t make too much sense. You’ll be dehydrated already and forcing your body to work harder than it needs to at this point. At first, you’re probably going to struggle a little bit just to get going. However, once you start moving, your body is going to have its blood flowing and your hangover symptoms will start to alleviate. Sweating is good as well because it’s going to allow your body to release all the toxins that were formed when you were drinking. The sooner your body gets rid of the toxins that it’s holding onto, the sooner your body will be able to recover. Thus, making exercise a top workout remedy for anybody that’s able to get out of bed the next day. Personally, I would consider this method to be the best hangover remedy possible. It’s a method that can help you get rid of a hangover relatively quickly as well. If you aren’t scared of a needle going into your arm then this is something that you should look into if you’re able to find all the tools necessary. The IV contains a solution that is full of vitamins, saline, nausea medication and more to help you recover from a hangover. 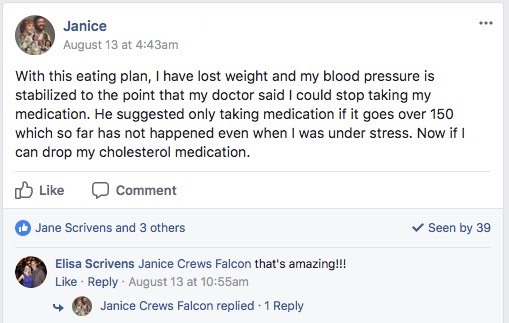 I know several people in the medical field that do this to themselves the next day because it’s a method that has been proven to work. The only problem is that these IV’s can be pretty pricey. You’re not going to find one at your local Wal-Mart and you’re definitely not going to find one for a couple dollars anywhere. If you have the money and want a quick solution to your hangover, this is the way to go. If you are in desperate need of a quick alternative, you can use these electrolyte drops. They aren’t going to be exactly like an IV drip but they will give you something that will hopefully reduce your hangover symptoms. If you don’t have the money for a hangover remedy like an IV drip, then you need to try and have a good meal as soon as possible the next day. Eating a good meal ASAP is one of the best remedies for a hangover. Your blood sugar levels are almost guaranteed to be low and eating a filling meal is going to help sustain your blood sugar levels. However, if you’re like me, you don’t like to eat anything when you’re hungover. So, because of that, you might need to force yourself to eat some food just so that you can start feeling a little better. If you’re able to get out of bed and get a good amount of food in your system then you should feel any and all hangover symptoms slowly go away. These hangover remedies are all simple. There is nothing too difficult about any of them. Everyone should be able to handle these remedies no matter how bad the hangover is. Yes, it might be extremely difficult to do anything when you wake up the next day with a hangover. However, if you’re able to power through and get your day started with one of these hangover remedies, the hangover doesn’t stand a chance. 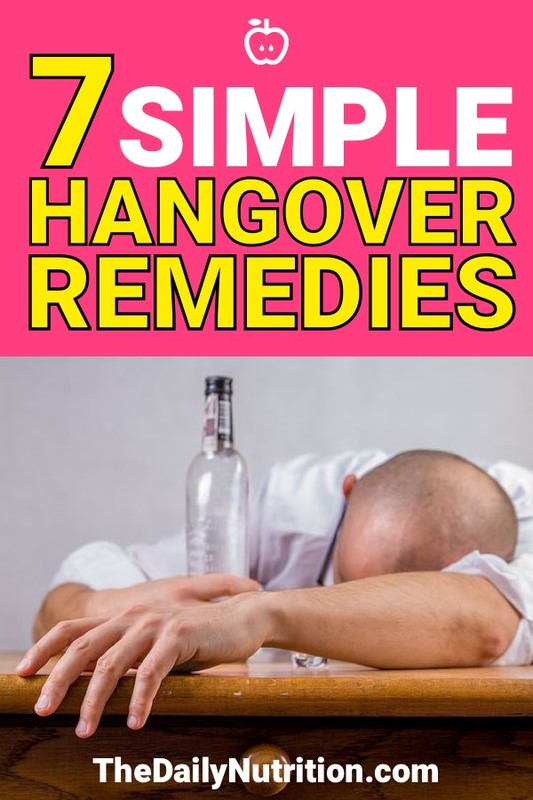 Enjoyed 7 Hangover Remedies That Are Quick and Simple for Anybody? Share it with your friends so they to can follow The Daily Nutrition journey.